The most common cause of physical hair damage is over-processing involving harsh chemicals and treatments that weaken hair fibres. Once the soft hair fibre interior has been exposed during perming, colouring, straightening, bleaching, dying, relaxing, weaving or extension applications damage commences and is accelerated leading to the increase in potential hair loss. When hair loss exceeds hair growth it is obvious what the visible result looks like over time. KerMax, with its active complex of natural-sourced ingredients has been created to help address this issue when hair is damaged and compromised by excess external physical stressors on one`s soft hair fibre. When used as directed, fine thinning and damaged hair appears fuller, more radiant with more vitality and hair shaft strength. This natural hair repair process helps reduce hair loss and support the potential for new hair regrowth. Volumizing Shampoo: Apply a quarter sized amount to wet hair and gently massage into scalp area. Concentrating and massaging with finger tips on areas where you are experiencing hair thinning or hair loss. Rinse and repeat this step if necessary. Kermax creates less lather and less residue for a cleaner rinse and a healthier scalp. Volumizing Conditioner: After rinsing shampoo off using a dime sized amount or more of conditioner. Gently massage with finger tips onto scalp and through hair strands. Let sit for a few minutes to facilitate conditioning. Rinse once done. Essential Day Foam: Application can be done every morning to dry or damp hair on targeted scalp areas. Pump out 1-2 amounts of foam onto finger tips. Then gently massage into targeted areas until the foam is fully absorbed. Style hair as desired. Day foam stays active even after blow-drying and heat styling. Can also be used at night before bed if desired. Rinse hands once completed. 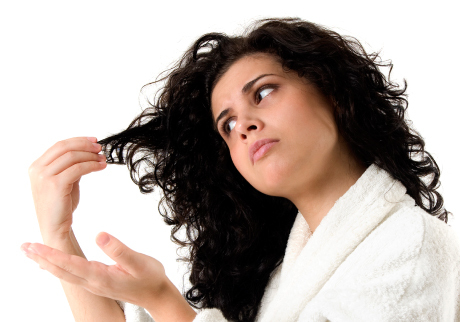 Thickening Hair Serum: Kermax Thickening Hair Serum is applied at night before bed. Using Serum applicator apply between 20-30 drops nightly directly onto the scalp areas, on dry or damp hair. Concentrating on targeted areas, gently massage with fingertips until fully absorbed or dried. Rinse hands once completed. Styling Mousse: Apply desired amount of mousse to palm of hand and spread evenly over clean, conditioned dry or lightly dampened hair. Style as desired. To boost volume, apply mousse at root level and blow dry while lifting up hair. Can be used after application of, and in combination with, Kermax Essential Day Foam.